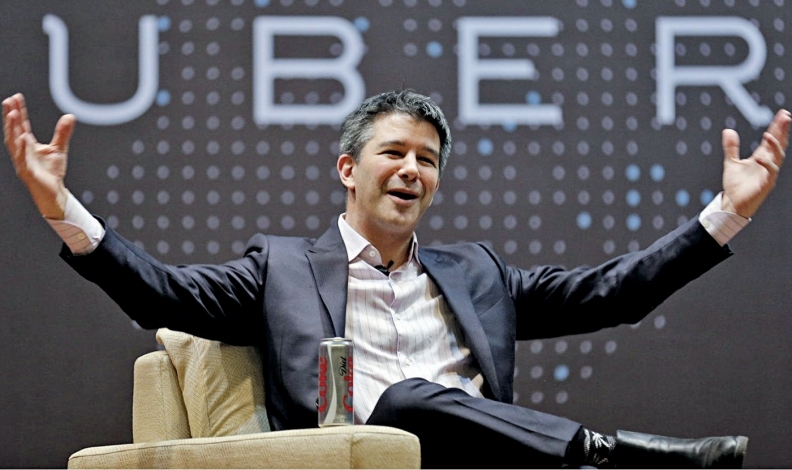 Bill Gurley's recollection differed with former Uber CEO Travis Kalanick, pictured, who testified on Wednesday. SAN FRANCISCO -- A key Uber investor testified on Thursday that the company's board received assurances that due diligence had turned up no problems with a self-driving car startup that Uber acquired, differing from testimony by Uber's former CEO. Benchmark venture capitalist Bill Gurley, who has since left Uber's board, said that before the company acquired a startup founded by a former Waymo engineer in 2016, board members were told that due diligence on the company "had turned up nothing." Google affiliate Waymo sued Uber Technologies Inc. a year ago, accusing it of theft of self-driving car trade secrets. Waymo said that one of the company's former engineers, Anthony Levandowski, downloaded more than 14,000 confidential files containing designs for autonomous vehicles before Uber acquired his startup, Otto. The trial could influence one of the most important and potentially lucrative races in Silicon Valley -- to create fleets of self-driving cars. Gurley's recollection is different with former Uber CEO Travis Kalanick, who testified on Wednesday that he never read a due diligence report prepared by an outside firm that determined Levandowski did possess Waymo data. Kalanick denied telling the board that diligence on Levandowski had come back "clean." As part of the Otto acquisition, Uber indemnified Levandowski and his team against any future lawsuits filed by Waymo over trade-secret theft. In a brief appearance on the witness stand on Thursday, Gurley said he could not say for sure who from Uber management assured the board, but recalled that Kalanick led the majority of the presentation. He called the indemnification agreement "atypical." "We as a group made the decision to move forward because the diligence was OK," Gurley said in court on Thursday. He also said "as far as I know" no trade secrets came from Waymo to Uber. The trial is expected to continue through next week. The jury will have to decide whether the documents downloaded by Levandowski were indeed trade secrets and not common knowledge, and whether Uber improperly acquired them, used them and benefited from them.